Our office is located at 26306 Highway 410 East in Buckley, Washington 98321. We’re between Buckley and Bonney Lake, on Highway 410. Look for the red and white Uncle John's sign on the south side of the highway. For more specific directions from your location, visit our facility page. We offer convenient access to communities such as Enumclaw, Bonney Lake, and Puyallup! We’re here to serve you six days a week! Stop by between the hours of 10:00 a.m. and 5:00 p.m. Monday through Friday or on Saturday between 10:00 a.m. and 2:00 p.m. Our manager lives on the property, so they are always around to answer your questions. Self storage access hours are 8:00 a.m. to 8:00 pm. every day of the week. You’ll never have to worry about planning around our schedule to get to your belongings. Instead, make time within your own busy day when it’s comfortable for you! Can I purchase moving and packing supplies? Yes. We have a wide variety of supplies stocked and available in the front office. We are the only place you need to go on your moving day, whether you are picking up a U-Haul truck or trailer or packing for long term storage. Call our office to learn more about availability and pricing. What security measures does Uncle John’s RV Park and Mini Storage offer? We’re glad you asked. Security is very important to us at Uncle John’s and we know that it’s important to you. That’s why our management has gone above and beyond to make our facility more secure than ever. We are adding a new gate and 24-hour video recording to the facility. 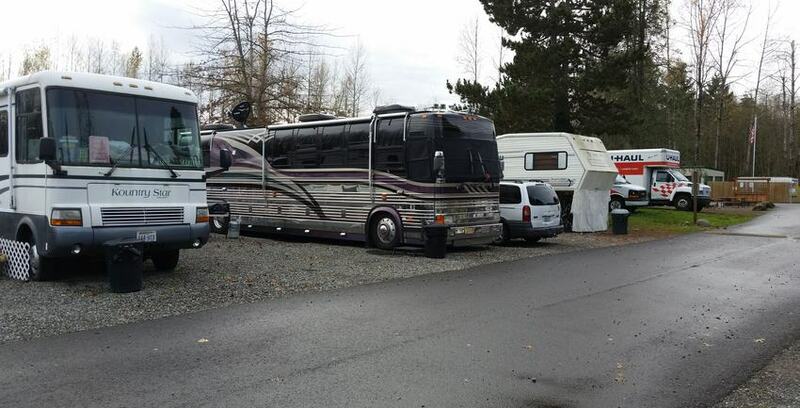 Our manager lives on the property, so there’s always someone around looking out for your RV or storage unit. Do you offer truck and trailer rental? As an authorized U-Haul dealer, we have a huge selection of trucks and trailers at our disposal. There’s nothing we can’t get for you in a short amount of time, so stop in, get your rental, purchase the supplies you need, and get your project started! We accept all major forms of payment, including major credit cards, money orders, and, of course, checks. Additionally, you can sign up for online bill pay and pay your bill by logging in from anywhere with an internet connection. It’s that simple!